On the evening of April 23, 2016, Beyoncé turned the entire entertainment industry on its head with the surprise release of Lemonade. With its Best Music Film GRAMMY-nominated companion celebrating African-American culture, and lyrics that had everyone speculating about her relationship with Jay Z and the identity of “Becky with the good hair,” Lemonade successfully quenched her fans’ thirst. The leading 59th GRAMMY nominee’s sixth studio album is arguably more nuanced than her previous projects. While Beyoncé has tackled women’s empowerment and relationship topics before, Lemonade is more personal, representing a shift for an artist who manages to be omnipresent and mysterious. For the first time, Beyoncé appeared vulnerable, but still Queen Bey — demonstrated with songs celebrating her womanhood and heritage in the midst of racial turmoil. The album has since become a pop-culture phenomenon — discussed everywhere from daytime talk shows to university classrooms — garnering Beyoncé nine GRAMMY nominations in six Fields, including Rock, R&B and Rap, and upping her career nomination total to 62. 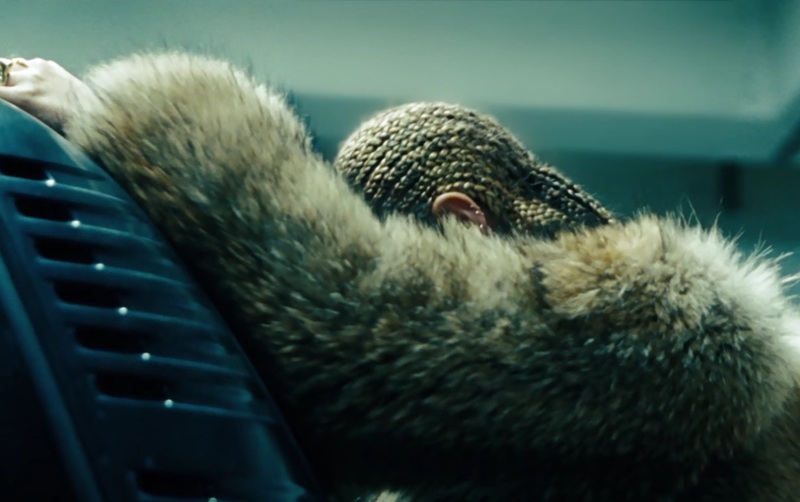 Following is the inside story of Lemonade. James Blake (featured artist/producer): Beyoncé came to the studio and I was sitting at the piano when I met her. She was just lovely. I came up with something to go with an idea she had. I just embellished her melody. I think the idea was to use some of her lyrics, but I didn’t realize that — I misunderstood and did something entirely different from what she wanted. But it didn’t matter, because she really liked it. Blue Ivy was there too, which was nice. She was singing along to the song, which was a huge compliment because kids just don’t have any pretense whatsoever. I was pleasantly surprised to find that my song came in at the point that it did, and that she harmonizes with me for a brief moment. The first time I heard that, I got chills. Her process is, she’s a writer, but she has an ear for music. And she’ll hear what an artist does, she’ll hear what a writer does, and she’ll interpret it and make it her own, blend it with her vibe. Jack White (featured artist/producer): She took just sort of a sketch of a lyrical outline and turned it into this most bodacious, vicious, incredible song. I don’t even know what you’d classify it as — soul, rock and roll, whatever it is. “Don’t Hurt Yourself” is incredibly intense. I’m so amazed at what she did with it. MeLo-X (producer): I heard a lot of the music and the subject matter of the music and we spoke about direction and the theme and the ideas behind some of the stuff. I was able to write from a different perspective. And I think that she used a lot of what I did and pieced it together. She’s a master of finding raw talent and including them in her projects. [“Sorry“] was kind of like creating a vibe in the studio. We were just working on a lot of stuff and the idea came up pretty simple. It was just some cool keys, drum patterns, and we started putting down vocal ideas and lyric ideas. … We created that vibe together. It plays a key part in the record because I think it’s at a vital point in the record. It’s all these different emotions and different sounds and different layers. Diana Gordon (producer): I feel like the songs we worked on were specifically for her. I didn’t have a dad growing up, so “Daddy Lessons,” that was more of a fantasy for me. I felt like I was very strong in helping to raise my brothers and sisters but that really was her story. When I played it for her, I was like, “This is one of my favorite songs.” She was like, “This is my life.” I told her, “You know what, take it, do what you want with it.” She went and re-produced it, she changed some words, added the bridge. It’s hers. Ingrid Burley (co-writer): Beyoncé doesn’t even know this but I wrote “Love Drought” [when] I was frustrated with the label two years ago and I was very new. Two of the people who were running the label at the time had lied to me and told me that Beyoncé wasn’t currently listening to any new music. Then I got to the studio to go to her writing camp — literally four days later — in L.A. and they started playing me new music. And [engineer/mixer] Mike Dean was there from Houston. I’m like, “They just told me that she’s not listening to any music.” … I was so pissed. Mike Dean (engineer/mixer): We were in the studio together. Just writing sessions. Lotta producers, lotta singers. We’d just have them all collaborate. “Love Drought” was one of the songs that we made. I was just lucky enough for it to make the album. It didn’t change from the day we recorded it. It’s been the same for a couple years. Just Blaze (producer): [The creative process for “Freedom” featuring Kendrick Lamar] was pretty organic and quick. She had a demo already started, and she called me and said something like, “This record has to be produced by you.” … She had the basic arrangement and the sample, and some vocals. I took all of those elements back home and worked on them for a few days, tried a few things out. When she sets up shop and goes into the studio, it’s like a situation room. There are plans posted everywhere, and she’s got her visual inspirations all on one wall. When you see “Visuals Produced By Beyoncé,” she’s not an artist who slaps her name on something because she can. She really is there from beginning to end, going over every detail of the vision that she wants to get across. Mike Will Made-It (producer): I had run into her one night. We were just chopping it up, and she was like, “You know what? I really like the idea of ‘Formation’ that you sent.” I was like, “That’s dope, man … when I was with Sremm [hip-hop duo Rae Sremmurd], we were just talking about it like, ‘That could be a big song for the females. Get in formation about the dudes that you’re messing with or get in line. … It could be a good women’s empowerment song. … The next thing you know, she takes it and makes it a culture empowerment thing — bigger than just females. Beyoncé (artist): I’m an artist and I think the most powerful art is usually misunderstood. But anyone who perceives my message [in “Formation“] as anti-police is completely mistaken. … But let’s be clear: I am against police brutality and injustice. Those are two separate things. If celebrating my roots and culture during Black History Month made anyone uncomfortable, those feelings were there long before a video and long before me. I’m proud of what we created and I’m proud to be a part of a conversation that is pushing things forward in a positive way. I hope I can create art that helps people heal. Art that makes people feel proud of their struggle. Everyone experiences pain, but sometimes you need to be uncomfortable to transform. Source written by Andreas Hale. Andreas Hale is the editorial content director of 2DopeBoyz.com and senior editor of Champions.co. He has contributed to outlets such as Billboard, The Undefeated, MTV, Ozy, and a host of others.